Taking Daugavpils and and the Gulf of Riga by their turn limits is fine, but does anyone have any tips on taking Kaunus? I can destroy one German armour division, but then they fill up the gap with infantry and their motorised unit with the remaining armoud blocking the bridge, the rivers on either side make it difficult to move. 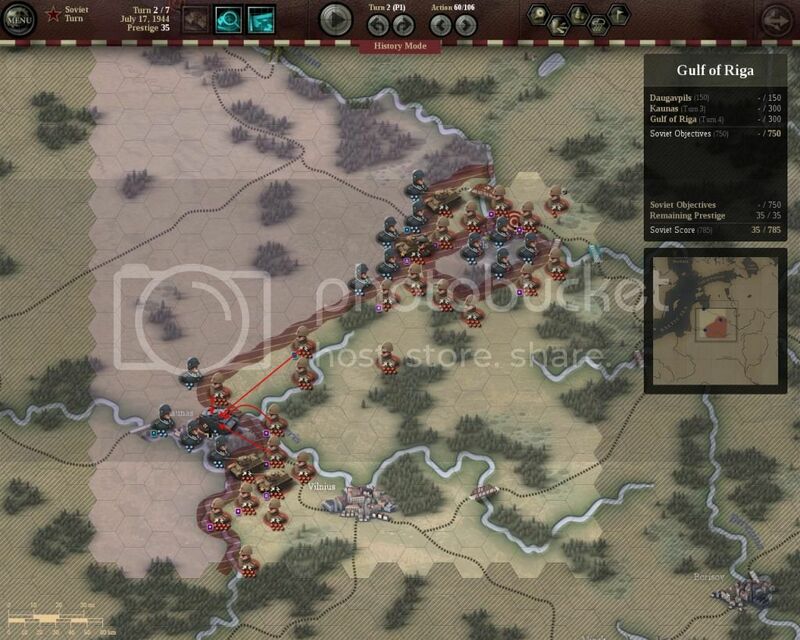 Weaken or destroy the German armour with your infantry which is now across the river. Then move in to take Kaunas with your own armour.